I admit that some of my most important traditions and rituals are a little weird by people's standards. I think they're awesome, but I'm sure most people would not agree with me. But it doesn't really matter what anyone else thinks. This is my thing. One of the most important parts of tradition is honoring the past. The best way to remember my mother is to continue on with some of the traditions that she loved the most and getting the new Costco Cookbook each and every Black Friday is one of them. It's not really that big of a deal, and it doesn't take much time, but I will not be comfortable until it is accomplished. The books are free, and anyone can get one. You don't even have to stand in line. Some years I have been busy so Leroy has picked it up for me. Today he and I went with Steel. We each walked out separately with our own books. (The more the merrier, right?) 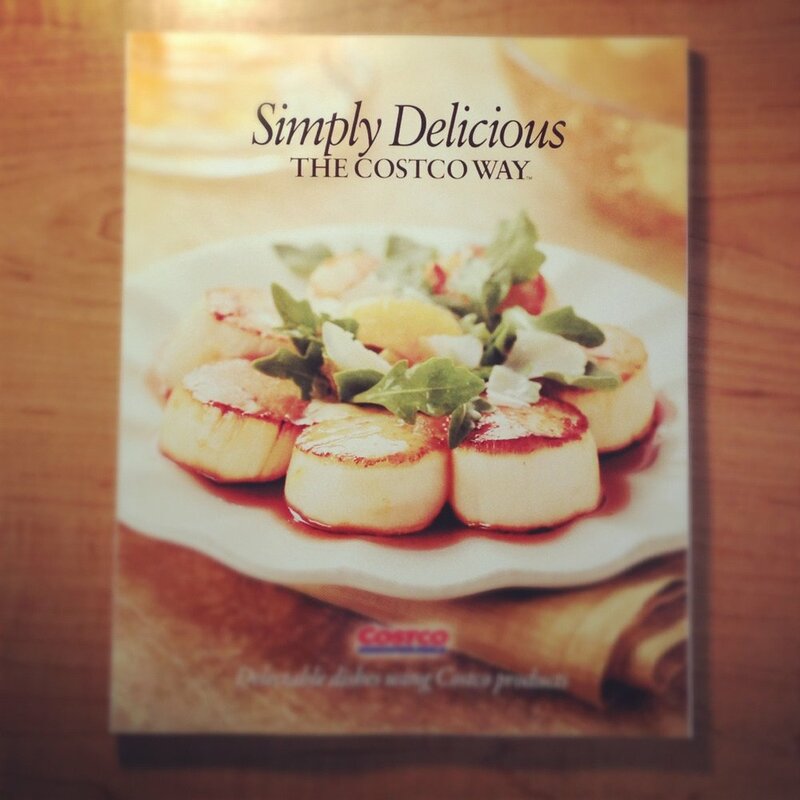 It's the perfect item, combining 3 of my favorite things: food, cookbooks and Costco. WIN WIN WIN!